Air Systems Texas is the best new air conditioning installation service in Friendswood Texas. We use the very best and well respected brands and provide the most efficient and cost effective solutions for your new air conditioning installation. Our new AC installation service includes a careful review of the specification of the service where the new AC installation is required. In order to receive the most comfort and efficiency from your system it is mandatory that your equipment is the appropriate size and properly installed. Ensuring the ductwork is completely sealed, the airflow is adjusted properly and the system charged with refrigerant as it should be assures your equipment can perform at its best. Friendwood clients enjoy fast, courteous services that are guaranteed! We are on time every time and offer new air conditioning service with a smile! 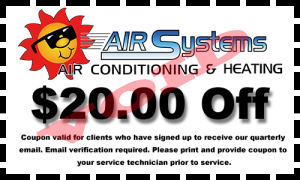 For new air conditioning installation call on the professionals, Air Systems Texas. 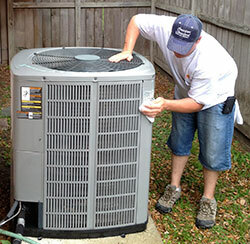 Air Systems Texas is Friendswood’s finest and most trusted new AC repair service. When you need a new air conditioning installation company you want to use the best and most reliable service. We stand behind our work with a guarantee. We guarantee we will get the job done right and we warranty our work and equipment. We are A+ Rated by the BBB! We also offer air conditioning installations for new construction. Be sure to visit our new construction page for more details!